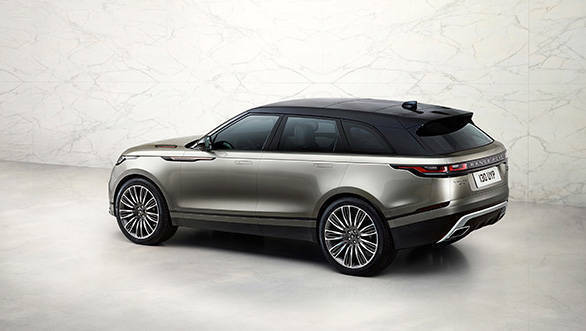 Jaguar Land Rover has finally unveiled the Range Rover Velar, a mid-sized luxury SUV that will be positioned between the Range Rover Evoque and the Range Rover Sport. This is Range Rover's response to the BMW X6, the Mercedes-Benz GLE Coupe and the Porsche Macan. 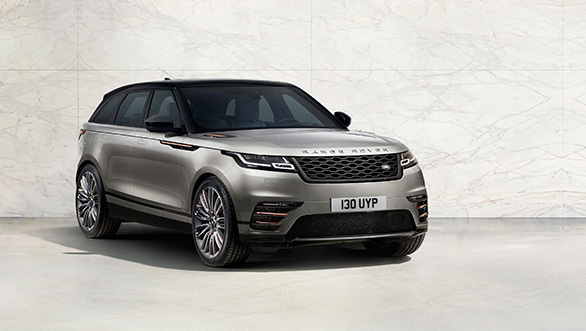 The brand says that the Range Rover Velar is designed with a "visually reductive approach and meticulous attention to precision in every detail". That essentially means they went with a simple design theme but paid very close attention to detail, and this is evident when you look at the car. From the outside, it looks like a significantly larger but also sleeker version of the Range Rover Evoque with some elements from the Range Rover Sport. It doesn't have any overbearing elements, but the few details look very well-thought out and elegant. The headlights remind us of the Range Rover Sport, except they look sleeker, while the large grille resembles that of the Range Rover Vogue. Of course, their elements have been significantly reworked, but there's no mistaking that face for anything but a Range Rover. From the side, the car doesn't have too many details to highlight except for the sloping roof and a garnish which extends from the front fender to the door. The roof, however, doesn't swoop down as sharply as in the X6 and GLE Coupe. Oh also, let's not forget those sweet 22-inch wheels. The rear end, again, borrows design cues for the tail lights and the bumper from the Range Rover Sport and the Evoque, but with significant alterations. 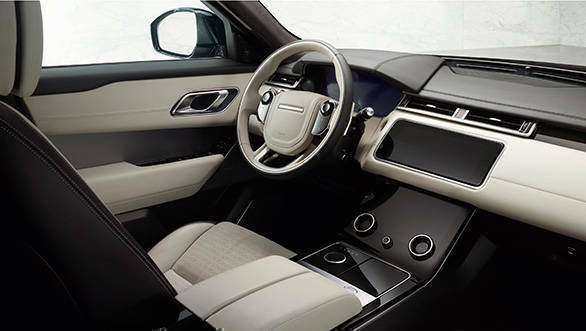 The interior features a symmetrical design, like all Range Rovers, and looks elegant, if not a little bland. The centre console, however, is very neat. The Range Rover Velar will debut the company's new infotainment system called Touch Pro Duo. It features two 10-inch HD touchscreens, one on the dashboard and one just below it. The one on top handles functions such as navigation, media and a phone menu. It is slightly curved and can be titled through 30 degrees according to the driver's preference. The lower screen, meanwhile, handles functions like climate control and the Terrain Response system. The two screens get two rotary controls which can be reconfigured to perform various functions, while there is one rotary knob in between them to control the audio system. Coming to the juicier bit of the Range Rover Velar, the SUV will come with four engine options. The first is a 4-cylinder Ingenium diesel engine which will be offered in two states of tune  180PS and 240PS/500Nm. The Velar will also get a 4-cylinder Ingenium petrol engine which will make 250PS and has a claimed 0-100kmph time of 6.7s. JLR says that a 300PS version of the same engine will be added later in the year. Larger engine options include a turbocharged 3.0-litre V6 diesel and a 3.0-litre supercharged V6 petrol. The diesel produces 300PS and 700Nm, while the supercharged petrol puts out 380PS and is capable of doing 0-100kmph in 5.3s. Being a Range Rover, it also gets all the off-road tech seen in the other cars. This includes an all-wheel drive system, air suspension (on the V6 variants) and the optional Terrain Response 2 and All Terrain Progress Control systems. The most luxurious version of the Range Rover Velar will be the First Edition variant which will be sold only for the first year. It can only be optioned with either the V6 diesel or V6 petrol, and will offer additional features like Windsor leather seats, a 1,600W Meridian audio system and matrix-laser LED headlights as standard. JLR says the car will launch sometime between June and August this year at a price of £44,830 (Rs 36.75 lakh). The Range Rover Velar will be the highlight of the brand's exhibit at the 2017 Geneva Motor Show. Read more stories on the 2017 Geneva Motor Show here.